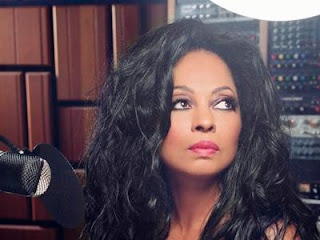 With extraordinary talent and fierce ambition, Diana Ross has become one of the most successful recording artists in history. Born on March 26, 1944, she grew up in Detroit, Michigan, the second of six children. Her family was so poor that all the children had to share the same bed, but Ross remembers her childhood as a happy one. She later described the Brewster-Douglass housing project in which she lived as “a warm, loving family environment.”Through her church choir, Ross became acquainted with Florence Ballard and Mary Wilson, members of the local vocal group the Primettes. (The male counterpart, the Primes, was founded by Eddie Kendricks, later a member of the Temptations). After joining the Primettes, Ross and her friends began to hang out at the Motown recording studio, hoping to be discovered. Once they had graduated from high school, Ross, Wilson, and Ballard were signed to the record label by Motown head Berry Gordy and renamed the Supremes. Initially, the Supremes sang backup during performances by headliners such as Marvin Gaye and Mary Wells. But when the group was paired with the songwriting team of Eddie Holland, Lamont Dozier, and Brian Holland, they began to develop their own unique sound. After a few moderately successful recordings, they hit number one with “Where Did Our Love Go” (1964) and quickly became Motown’s hottest act. With Ross’s girlish voice in lead vocals, their pop tunes easily crossed over into mainstream market. To make the Supremes more marketable to whites, Gordy dressed them in evening gowns in live performances. They quickly became icons of glamour to both black and white fans. Between 1964 and 1967, the Supremes had 14 top 10 hits, including the classics “Baby Love” (1964), “Stop! In the Name of Love” (1965), and “You Keep Me Hangin’ On” (1966). In 1967, Florence Ballard was replaced by Cindy Birdsong. In the same year, the group was of?cially renamed Diana Ross and the Supremes, re?ecting Ross’s increasing push toward the center stage. Few were surprised when Ross announced in 1970 that she was going solo. Her last hit with the Supremes “Someday, We’ll Be Together” (1969)—was the group’s 12th number-one song. 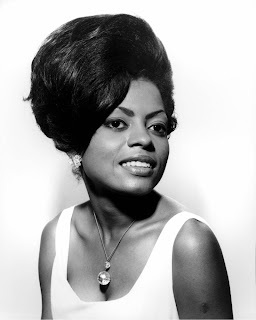 With the strong support of Berry Gordy, Ross began developing her solo career, scoring an early success with the hit “Ain’t No Mountain High Enough” (1970). Concentrating on ballads, she would have a dozen top 10 singles between 1970 and 1985. Among her hits were “Touch Me in the Morning” (1973), “Love Hangover” (1976), and “Endless Love” (1981), a duet with former Commodores lead singer Lionel Richie. Ross also found success in ?lms. In 1972, she appeared as BILLIE HOLIDAY in Lady Sings the Blues. Although the reaction to the ?lm was mixed, her performance won universal acclaim and was honored with an Academy Award nomination for best actress. Ross’s star power also propelled Mahogany (1975), a slight story of the trials of a fashion designer, into a commercial hit. Her recording of the theme from Mahogany received an Oscar nomination for best song. Ross had less success with the ?lm version of the theatrical musical The Wiz (1978), based on the movie The Wizard of Oz (1939). Critics savaged her for playing Dorothy, although the 34-year-old Ross has the character changed from a girl to a teacher to better suit her age. Despite her active career, Ross worked hard to create a family life. In 1971, she married manager Robert Silberman, with whom she had three daughters. Ross and Silberman were divorced in 1975. Ten years later, Ross wed Norwegian shipping tycoon Arne Naess Jr. They had two sons before terminating their marriage in 2000. In the 1990s, Ross suffered several personal and professional setbacks. Her brother Arthur, a successful songwriter, was found murdered in his house in 1996. Four years later she was arrested for assault after a scuf?e with a security of?cer at London’s Heathrow Airport. Ross was also drawn into a controversy involving the 2000 concert series billed as the “Return to Love” tour. Promoted as a Supremes reunion, the tour was originally intended to bring Ross together with Wilson and Ballard’s replacement, Cathy Birdsong. When Wilson and Birdsong balked at their proposed compensation, Scherrie Payne and Lynda Laurence were hired to replace them. Payne and Laurence had performed with the Supremes only after Ross had left the group. Audiences, eager to see the original Supremes, were unenthusiastic about the tour lineup. Due to low ticket sales, the concert tour was canceled midway in July 2000. During the 1990s, Ross had also seen her share of career triumphs. In the television movie Out of the Darkness (1994), she solidi?ed her reputation as a dramatic actress in her skilled performance as a schizophrenic. She also had a popular success with Double Platinum (1999), a television movie that cast her as the celebrity mother of an aspiring singer, played by the pop star Brandy. In celebration of 30 years as a recording artist, the box set Forever, Diana (1993) brought together her greatest hits. Equally well-received was her performance on “VH1 Divas 2000: A Salute to Diana Ross,” a cable television special that reached an audience of more than 20 million. 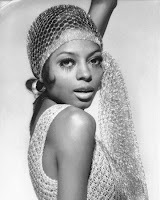 Singer, actress, and diva, Diana Ross remains as beloved an artist now as she was in the 1960s. Ross, Diana. Secrets of a Sparrow. New York: Villard, 1993. Taraborrelli, J. Randy. 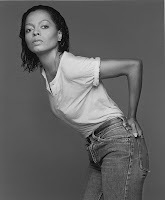 Call Her Miss Ross: The Unauthorized Biography of Diana Ross. New York: Birch Lane Press, 1989. Double Platinum (1999). Columbia/Tristar, DVD/VHS, 1999. Forever, Diana. Motown, CD set, 1993. Lady Sings the Blues (1972). Paramount, VHS, 1996. The Wiz (1978). Universal Studios, DVD/VHS, 1999/1998.